(CNN) Fort Worth, Texas, police placed an officer on restricted duty Thursday after a Facebook video showed him arresting a woman who’d called police to complain that a neighbor had allegedly assaulted her young son. The video showed the argument escalating. 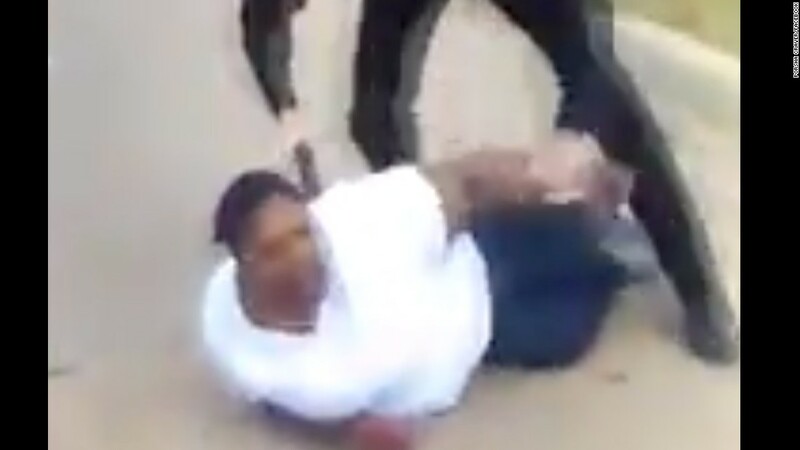 The officer wrestled Craig and her daughter to the pavement and handcuffed them. He pulled out a stun gun but it was unclear whether he used it. The city’s police chief on Friday acknowledged criticism of the handling of the incident. Fitzgerald said several officers were sent out to investigate the alleged assault against the young boy, who was the subject of the original call to police. The chief referred to him as being 7, but the family lawyer told CNN he is 8. Footage from a body camera will not be released because a juvenile was involved, he said. The department has not released the name of the officer and said he declines comment on the incident. Craig’s 15-year-old daughter also was taken into custody but was released to an older sister, Crockett said. Her name is not being released because she’s a minor. Craig told CNN she didn’t want to talk about the incident, but expressed thanks to people who watched the video and showed support. Alexander said there is a “whole lot of protocol that is wrong” in the arrest, such as the officer not having backup at the scene. It’s “very dangerous” for officers to make arrests by themselves, Alexander said.